At last, the weekend is once again upon us. I was beginning to wonder if it would ever arrive, but here we are on Wednesday. Just a little post today for anyone still left in the city after the mass exodus of teachers and mums + kids last week. 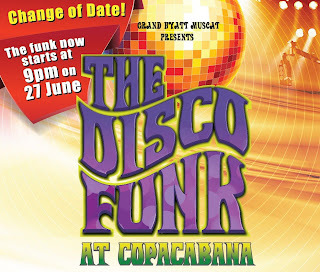 Tonight, at the Copacabana nightclub in the Grand Hyatt there is a 70's night tonight "The Disco Funk". Personally I think a 90's night would have gone down better in the Copa, seeing as that was the last time it had a make-over, just love the neon in there! But it's a 70's disco gig, so get your best Village People outfits on and come down and show everyone you know the moves to YMCA. Darren Shortt is providing the tunes, and the doors open at 9. 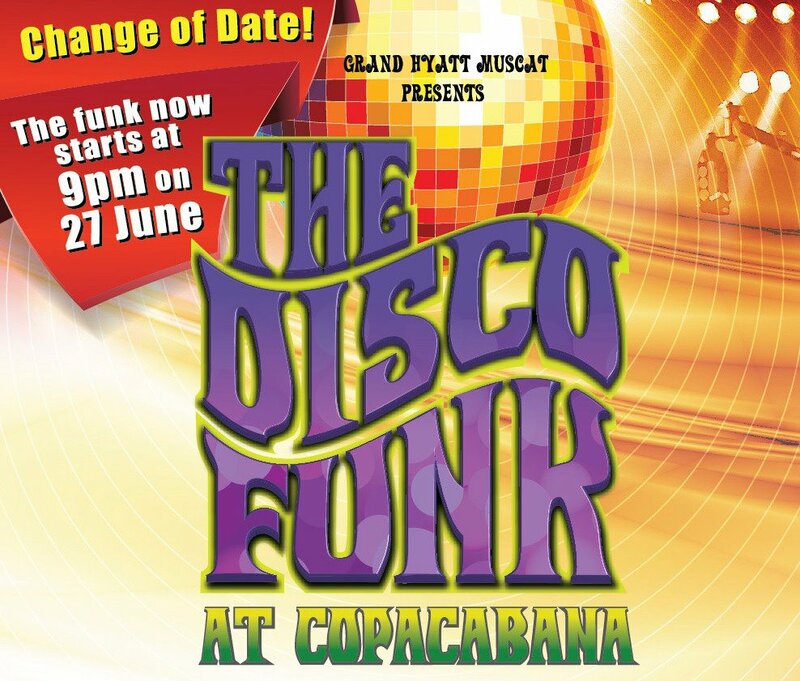 Free entry until midnight, and I understand a cover charge after - until 3am. If you happen to want to get a costume for the night, there is actually a fancy dress costume hire shop here in Muscat: OJ's Costume Hire which I think is pretty cool. Love the culturally and morally appropriate ad for the Hyatt's football booze up that shows up on the right sidebar... I always figured soccer was a girl's game!